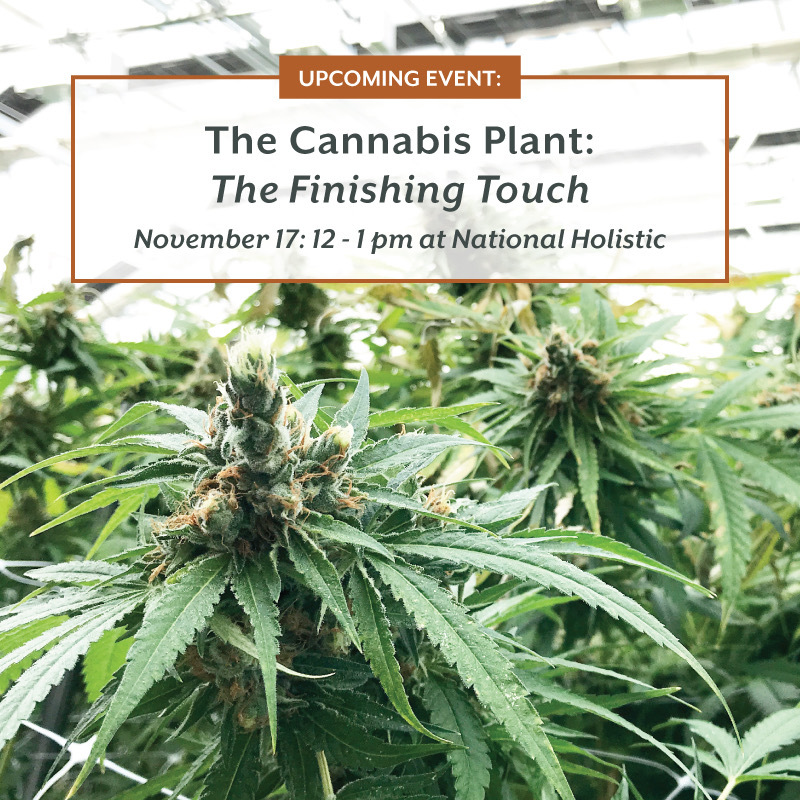 Join us at National Holistic this Sunday, November 11 at 12pm for the last workshop of The Cannabis Lifecycle series. Troy Bertolino, Facility Manager at Apelles (producers of ROOTS and SQUEEZE), visits us again to drop some knowledge about the finishing stages in the cultivation process before medical cannabis reaches our shelves at NHHC! This week, Troy will be discussing the different harvest, drying, and curing methods. This is a great opportunity for patients to learn from the expert what to look for in quality cannabis! This class is free to patients and the public (18+). No RSVP required!